What is Sport Pop in a box? Pop in a Box allows you to grow your Sports Pop! collection every month with a guaranteed mystery Funko Pop! Vinyl that's not in your collection. Never get pops you don't want and never get a pop that's already in your collection, simply use our free pop collection tracker so we can give you the best possible mystery Pop! subscription box. Guaranteed a Sports Pop! Vinyl not in your collection. You can login to your account anytime and press thumbs up on all the Sports pops you would love. This generates a wish list and we prioritise this list and try to find you Sports pops you love! You will be billed shortly after subscribing for your first box; you will then get billed on the 26th of each month. This varies for each of the subscriptions. I ordered my first pop subscription and it came fast and was really good quality when it arrived so I really do recommend it especially with the great discount that makes pops much more affordable and it means I can get more to add to my collection!!! 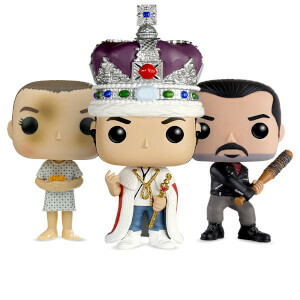 100% will recommend it to all my funko loving friends!! !